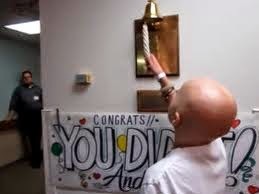 I want to ring the bell too!! This is another good post and I'm enjoying the comments. It causes people to look at their hopes and dreams. Everybody has them. It's hard going from healthy to weekly blood tests and almost weekly doctor visits. I don't want anyone to go through this disease but I'm thankful for those sharing their story and making the best of it. And I hope to be a part of that group--making the best of it. 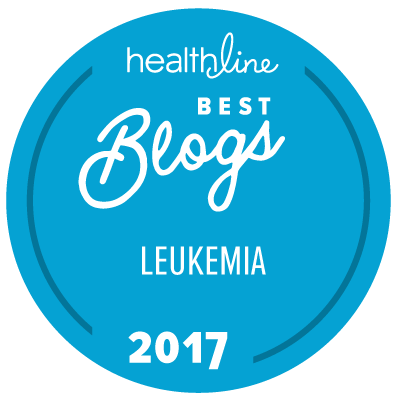 Ever since my diagnosis in January, I have been reading and searching for more information about CML. Hoping to find a way to regain my health and take more control. My search has lead me down different paths. I think my family would just prefer I accept it and go on with life. And, I would have to agree because it lead me to fungus/candida (Doug Kaufmann and knowthecause.com) and the Phase 1 diet. I'm denying myself carbs and sugars to starve off the fungal only to find out last night and confirmed from another source, that my mercury dental fillings could be causing the fungal/candida.The fungal/candida is a protection against mercury poisoning. Ugh! Not what I was hoping for. So it's an unexpected and unwanted adventure, still I at least I have a diagnosis, sightly fewer side effects, and my circle of acquaintances is growing. Thanks, all for the replies! I agree, Donna, it is nice to hear other responses. We are in a stick together kind of situation at this point, that is for sure!